Upper Valley ENT & Allergy is made up of a team of professionals dedicated to providing the best quality healthcare in a responsive and caring environment. Our otolaryngologists are all Board certified with decades of experience in the profession. They work in concert with nurses and office staff who try to understand your health issues quickly and apply the right treatment to get you back to your optimal health. 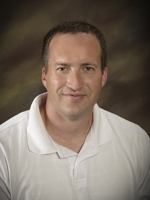 Dr. McMaster has lived in Rexburg since 2006 with his wife and eight children. Originally from Utah, he spent four years in Missouri for medical school and then five years in Tulsa, Oklahoma for his residency training in Otolaryngology. Trained with a strong background in all general ENT conditions and surgeries, he has a particular interest in thyroid surgery, oncologic (ear) surgeries, sinus disease and surgeries and allergies. He finds it a pleasure to live and work in such a great community and looks forward to serving you with all of your ENT needs. Dr. Peterson grew up in South East Idaho. He comes from a background of farming and ranching as a youth and feels a strong connection to the area and its residents. 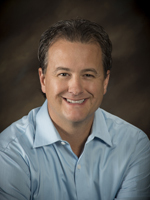 Dr. Peterson attended Rick’s College and finished his undergraduate at Brigham Young University in Provo, UT. He attended medical school in Missouri and Arizona. His residency training was received in Ohio where he received sub-specialty training in Sinus Surgery, Allergy, Ear disease, Pediatric ENT, Facial Plastic’s and Thyroid/Head and Neck Surgery. Dr. Peterson truly enjoys his work, which makes his interaction with his patient’s a pleasure. He is great with kids and adults and would love to take care of you and your family. Dan Weber is an Idaho native and has lived in Rexburg with his wife and 5 children since 2005. 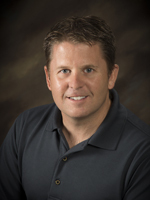 He attended Rick's College and graduated from the Idaho State University Physician Assistant Program in 1997. Dan has been practicing as a Physician Assistant in ENT since 2006. A child at heart, he enjoys working with adults and children of all ages. Dan has a special interest in allergies and finds satisfaction in helping people enjoy better health.